Meditropin is recommended by physicians and anti-aging experts worldwide. Even Dr. Oz suggests amino acid supplementation to naturally spike our HGH levels. The amino acids he recommends are present in Medtropin®, as well as other key amino acids. Consuming amino acids are a key component of raising HGH production and a significant way to get back to more youthful energy levels, drop body fat, sleep better and much more. You don’t have to be a bodybuilder or stay on a strict diet to achieve better muscle-tone, weight loss, gain energy and strength. You can take Meditropin® year round or seasonally. Within days of taking Meditropin® amino acids beverage, many report improved energy and an uplifted mood. Within weeks individuals experience firmer-looking skin, fat loss (especially around the midriff) and noticeable muscle definition. Amino acids may help reduce LDL cholesterol, lessen wrinkles, improve libido, reduce cellulite,and provide better sleep patterns. By naturally increasing HGH levels with amino acids, women experiencing PMS, peri or menopause irritability become uplifted, energized and well rested. 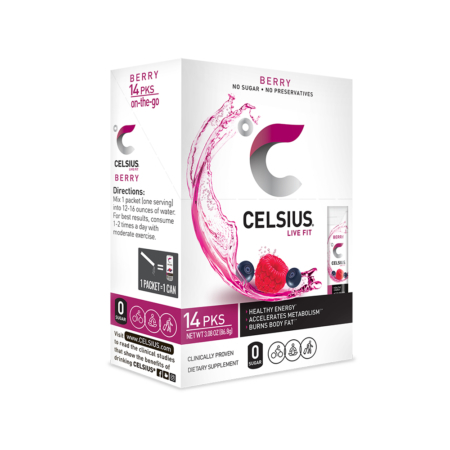 This natural effervescent beverage consists of a blend of protein amino acids, peptides, vitamins and minerals that kick-start the body’s own natural production of human growth hormone (HGH) by triggering the natural function of the pituitary gland. Meditropin® is a dietary supplement that is natural, free of stimulants, is NOT HGH and is NOT a steroid. NOTE: Not for vegans or vegetarians. Check our contraindications below and/or with your physician before taking dietary supplements. “Louisa, I am so happy to have found your website! I was researching LED Red Light Therapy to rejuvenate collagen and found your website with useful skin care information. I bookmarked the website and made it my “go to” reference. For years, I used Obaji products which were ok overall but NO comparison when I began to use Louisa’s products in a short period of time. Going through menopause is not easy. My turkey neck and crepery skin was making me look older and making me feel down. Following Louisa’s advices and making them a part of my everyday regimen has made a world of difference! My routine: Using the Facial Flex Ultra exercise, using the Uplift Serum and Red Light therapy has made a huge difference in turning the aged look to a more youthful appearance without using expensive products that you would think might do something! The best part is I also began taking your Meditropin. I started this on New Year’s day 2016 and I have noticed so many positive benefits such as energy and skin tone. I’m looking forward to evaluating myself after 90 days. I’m sure I will continue taking Meditropin because it helps my focus at work and home and helps me stay calm with my stressful job. 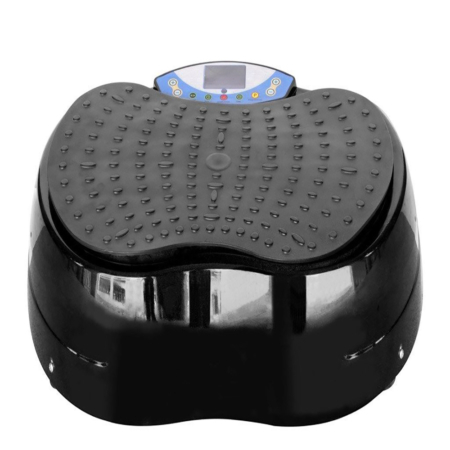 The icing on the cake is when I will order the Vibration Plate to complete my whole body restoration. NOTE: If you are currently taking medications or have a health condition, or are pregnant, speak to your health care professional before starting this supplement. See page bottom for more info. Not suitable for vegans or vegetarians. Meditropin® is one of the highest strength amino acid blends on the market. Millions of boxes of meditropin have been sold worldwide by anti-aging experts, nutritionists and physicians. I recommend Meditropin® because I have personally taken it and it is free of chemicals, preservatives or stimulants, which are often found in dietary supplements. Plus it tastes great and does not cause any harmful side effects, though be sure to read the drug interactions at page bottom if you are taking any medications. And we offer the best price on Meditropin. You save over $50 a box. Meditropin is NOT a steroid and NOT human growth hormone. See the contraindications for use below if taking medications. By the time we reach the age of 35, our pituitary gland slows down producing natural human growth hormone (HGH). By age 40, our HGH production slows down to approximately 50% of the levels we produced in our teens. We begin to experience the signs of middle-age such as difficulty losing weight, inches and “muffin tops” on the waist, loss of muscle tone, we feel tired and irritable, we notice more wrinkles and skin sagging, experience low libido, thyroid issues, difficulty falling asleep, and some individuals experience adrenal exhaustion. By age 50, when we experience hormonal changes such as menopause, many women become “blue”, feel hopeless and lose their zest for life. By age 60, our HGH may reach levels as low as 80% of our teenage years. The aging process can be devastating for many women and men. Many high profile actors resort to costly HGH injections – however injecting HGH can cause many side effects, can cost thousands of dollars per month and is something I would never do myself or recommend to women. But I can suggest a very effective, safe alternative. It’s an amino acid beverage called Meditropin®. Meditropin® is an amino acid-rich effervescent beverage that offers a blend of protein amino acids, peptides, vitamins and minerals that kick-start the body’s own natural production of human growth hormone, triggering better natural function of the pituitary gland – the way it once worked when in our 20’s. It is NOT HGH and not a steroid. No matter what your age, within just days of taking Meditropin® you will notice better energy and an uplifted mood. Then within weeks, fat loss around the midriff and abdomen begins to disappear and better muscle definition and a sound sleep is experienced. Meditropin’s amino acid blend can aid the immune system and thyroid function. Many can experience more elasticity in the skin on both the face and body, as well as less-wrinkled skin, improved libido and arrested hormonal issues such as PMS, peri or menopause irritability, sweats, depression and more. L-Glutamine reduces stress, helps maintain muscle, aids in cell division, and cell growth, and boosts energy. L-Arginine-L-Pyroglutamate: this amino acid can triple HGH levels, and improves intense exercise performance. Arginine amino acid manages your blood pressure and can enhance heart function. It is also believed to metabolize fat more efficiently. Amino acids are the basic structural building blocks of proteins and they play essential roles in maintaining the health of the body’s hormone system and help with muscle tone and definition. These amino acids provide a rich source of protein and may supplement a healthy diet and increase lean muscle mass. Furthermore, they are thought to increase energy levels, and may also improve the immune system. Glycine Amino Acid builds strong muscles and helps the body store energy. It also helps you get a better night’s sleep. Lysine Amino Acid turns fatty foods you eat into energy. It helps the body convert fat in foods for energy usage. Anterior Pituitary Peptides (aka Hypothalamic Peptides) are ultra pure proteins and peptides derived from porcine hypothalamic glands help stimulate the pituitary gland to operate more effectively, increasing the natural release of HGH which improves poor muscle tone. Hypothalamic peptides nourish the hypothalamus, the central component of the neuroendocrine system which is responsible for signaling the pituitary to manufacture and release growth hormone. They are an advanced form of glandular therapy and have been used in medicine for over 100 years with great success. Common examples of other glandular therapies are taking pancreatic substances for digestive problems or taking thyroid for abnormal thyroid function. Stevia Extract (leaf) is a zero calorie natural sweetener that satisfies like sugar and does not raise blood sugar. 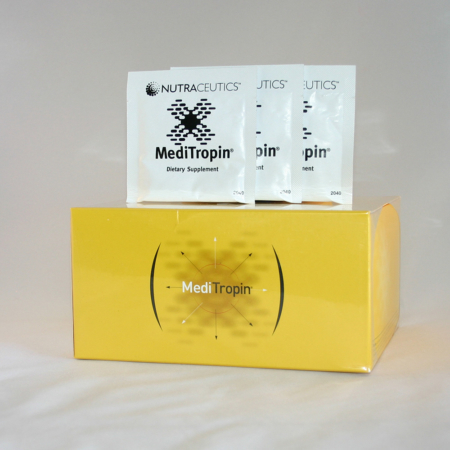 Doctors and anti-aging experts have come to trust MediTropin® for its quality nutraceuticals. The ingredients are of the highest quality, meeting either USP specifications or GRAS status. 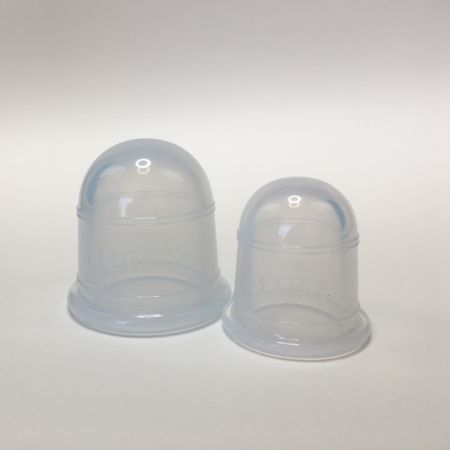 MediTropin is manufactured in a NSF GMP registered plant and distributed worldwide. NSF GMP registration ensures quality manufacturing. MediTropin has been recommended to compliment various treatment protocols by leading physicians around the world. Dissolve two or three MediTropin® sachets in eight ounces of water. Stir to help dissolve the powder and drink immediately. It is best to take MediTropin® at bedtime two to three hours after the last meal. Take for five days (Monday to Friday) and skip two days (weekends). Repeat cycle for three months. It is recommended that you take MediTropin for a full three months before assessing your results. After the first three month regimen, skip one month and then repeat cycle. Taking a one month break from using MediTropin® helps maintain its effectiveness. Take one MediTropin® in the morning 30 minutes before breakfast and two at bedtime two to three hours after the last meal. Take Meditropin® for three months in a row, then one month off. Take Meditropin® seasonally. For example, take it every new year for three months to help drop holiday weight. Or take it for three months prior to summer or vacations when you wear more revealing clothes such as shorts and swimsuits. Or take it for three months on, two months off. Does Meditropin® Work for Everyone? Meditropin® provides nutritional support for healthy hormone function at any age. Because everyone is different, MediTropin® may affect some better than others. Many report positive results, claiming they experienced an enormous boost in energy, and better sleep within days of use. Within 4-10 weeks many experienced weight loss, a reduction in cellulite, muffin tops, and more defined muscle tone – even without exercise, better skin conditions, improved appetite, better workouts and strength. Hormones help to regulate basic body functions such as growth, development and reproduction. To stay productive, the endocrine system depends on a steady diet of nutritional amino acids. MediTropin® is formulated to nourish your body with the amino acids and hypothalamic and pituitary proteins (peptides) specifically targeted to keep your endocrine system working optimally to keep you going strong and feeling more youthful. Amino acids also play a key role in maintaining metabolic function, both for your body’s total metabolism and for the specific metabolic processes within individual cells. Broken down into sequences of enzymatic steps known as metabolic pathways, metabolism is the process through which amino acids (and other substances) are transformed into the chemical compounds that control circulatory and cardiovascular health, tissue remodeling, and normal growth and development. Amino acids such as arginine, glutamine and lysine, key ingredients in MediTropin, are vital to maintaining the integrity and health of the entire metabolic process. Loss of HGH causes the signs of aging such as loss of muscle tone and an increase in body fat storage, especially on the abdomen area. Deep abdominal fat is extremely hard to lose, and is often associated with an increased risk of heart attack. In addition, we become more prone to high blood pressure and high cholesterol, loss of energy, sleeplessness, loss of libido, depression, and more. By raising the amount of growth hormone in your system, you actually turn these processes around. High levels of HGH means greater muscle mass and less fat storage which makes you feel stronger and look healthier and younger. This no doubt enlightens our outlook in life. By helping your body to naturally raise its levels of HGH, you can also help maintain healthy bones and achieve hormonal balance which are just two reasons so many women, pre, post, and menopausal, are having such success with supplements that enhance our natural HGH levels. There are many studies that support the fact that the replenishment of HGH levels to those of our youth, promote a higher quality of sleep. Natural HGH supplementation in the form of amino acids is an excellent option for women that are pre, post, or menopausal. Meditropin’s amino acids® may help provide PMS and menopausal relief including uplifted mood, increased energy, better sleep patterns and may enhance the physique to a more lean and a youthful-looking state. It may also help the smooth the texture and tone of the skin which is uplifting to women going through this passage of life. Meditropin® is a safe, natural alternative to Estrogen Replacement Therapy, with none of the associated risks. Since 2002, several clinical trials have indicated certain risks associated with Estrogen Replacement Therapy. However, HGH supplementation via amino acids can be an effective way to reduce the signs commonly associated with menopause including sleeplessness, weight gain, loss of muscle tone, moodiness, hot flashes, night sweats and feeling “blue”. “Increasing HGH levels is the only anti-aging treatment known that actually makes people look younger!”, says Ronald M Klatz M.D. As we age, our skin becomes thinner and loses its firm texture and elasticity. Patients usually started noticing changes within a few weeks of treatment. HGH can improve the skin tone and reduce sagging skin. It also helps elimination of cellulite over a period of time. Sexual rejuvenation is one of the most commonly reported benefits of increased HGH levels. Many researchers believe that increasing HGH may one of the most powerful ways to restore youthful libido and sexual function. An increase in HGH may just be one of the most powerful, natural antidepressants available. A higher HGH level increase levels of the neurotransmitter B-endorphin, and tends to lower dopamine levels. There is ample evidence that increasing one’s levels of HGH helps to uplift mood and reduce stress and anxiety. Studies have proven that elevated levels of HGH will increase our well being. Exercise, diet and a positive attitude all directly impact quality of life at every stage. And many doctors recommend making MediTropin® as part of a nutritional regimen. It is targeted nourishment to keep the fires of youth burning strong no matter where you are on life’s journey. 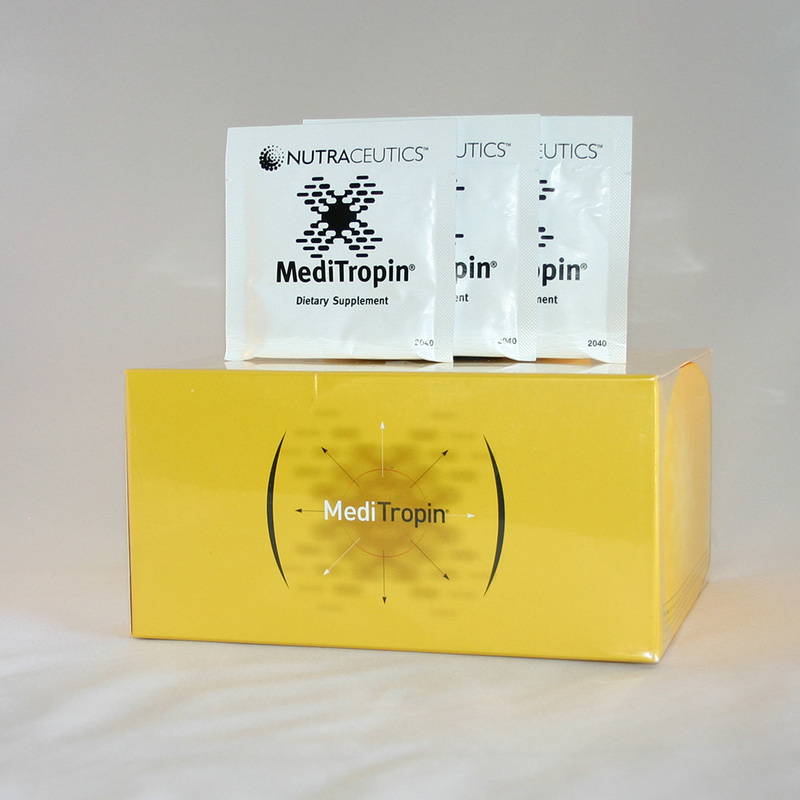 The National Institutes of Health to physicians worldwide, recommend Meditropin® however they charge $150 a box or more. See the introductory discount price offered below. Incorporating a strength training routine two to three times a week can definitely enhance the effects of Meditropin®. In addition, consume 6 – 8 oz. of protein with meals, lower carbohydrate intake, drink plenty of water, and get eight hours of sleep nightly if over the age of 40. Take Meditropin® amino acid protocol for three months, then take one month off. By taking a one month break, this allow your pituitary gland work on it’s own while you reap the benefits of increased human growth hormone production as well as a stimulated metabolism both safely and effectively, not to mention become leaner and more toned! TIP: Dr. Oz advises us to consume more protein such as fish, meat, beans, and soy as natural sources of amino acids which help compliment amino acid supplementation. Due to the recent demands of this effective supplement, I’ve secured an extra deep discount price of over $50 off the manufacturers price of MediTropin®. I guarantee the best price on meditropin on the web, and because I order it factory direct every month, you will receive fresh product. Contains 60 orange-flavored effervescent sachets. NOTE: This product is not suitable for vegans or vegetarians as it contains peptides and amino acids derived from pure protein animal sources. WARNING: Do not use this product if you are pregnant or nursing. Do not use this product if you have hepatic disease, renal disease (or any other condition that impairs potassium excretion), hyperkalemia, hyperlysinemia, amyotrophic lateral sclerosis or are anuric. Do not use this product if you have had a recent myocardial infarction. This product is contraindicated in those with the rare inborn errors of metabolism such as maple syrup urine disease, isovaleric academia, alkaptonuria and tyrosinemia type I and II, as it contains the amino acids L-Leucine and L-Tyrosine. Use caution if you are taking potassium-sparing diuretics, angiotensin receptor blockers or ACE inhibitors. This product is contraindicated in those with hyperthyroidism and Graves’ disease. Avoid concurrent use with thyroid medication, as tyrosine may potentiate the effects of the medication. Tyrosine in this product may decrease the effectiveness of the drug levodopa. Patients should separate dosing of this product and levodopa by at least 2 hours. Do not use this product if you are taking medication for epilepsy; theoretically glutamine may antagonize the effect of the anticonvulsant. Do not use this product concurrently with chemotherapy, as glutamine might alter the pharmacokinetics of chemotherapeutic drugs. Do not use this product if you are taking lactulose. Theoretically, glutamine may antagonize the anti-ammonia effects of lactulose. Patients taking antihypertensive drugs should use caution when taking arginine as it may cause additive hypotensive effects. Similarly, interactions with nitrates and sildenafil (Viagra) may occur, as arginine theoretically may cause additive vasodilation and have a hypotensive effect. Keep out of the reach of children. Not intended for people under the age of 18. Always consult your physician or healthcare provider about possible drug interactions before taking any dietary supplement. L-Glutamine, L-Arginine -L-pyroglutamate, L-Lysine hydrochloride, Anterior pituitary peptides (porcine), Glycine, L-Leucine, Stevia extract (leaf), Gamm-aminobutyric acid, L-Tyrosine, Hypothalamic peptides (porcine), Inositol hexanicotinate. Other ingredients include: natural flavors, dextrose, sorbitol, citric acid, masking agent, silica, fish gelatin from one or more of the following fish: cod, pollack, haddock, hake, cusk, redfish, sole and flounder.